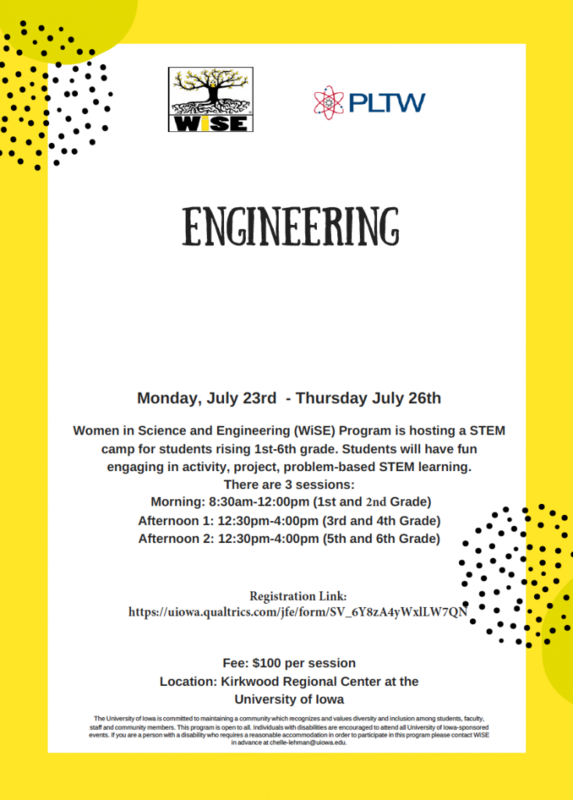 Description: The Women in Science and Engineering (WiSE) Outreach Program is excited to host a summer camp this year! Students entering grades 1st – 6th in the fall of 2018 are welcome to attend. Students will explore Project Lead The Way’s hands-on, project and problem-based STEM learning and have a lot of fun working with our undergraduate women in STEM teachers.